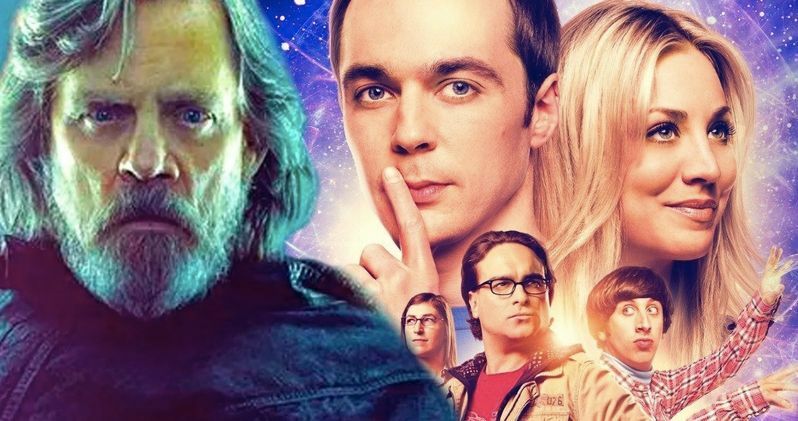 It has been announced that Mark Hamill, Kathy Bates, Lauren Lapkus, and magician Teller will appear on the season finale of CBS's The Big Bang Theory. It isn't clear who the actors will portray, but the safe bet is that they will be family members in town for Sheldon and Amy's wedding. However, it is believed that Hamill will be playing himself, much like fellow Star Wars alumni Carrie Fisher and James Earl Jones, who both made cameos in Season 9 of the hit show. Since we're talking about a wedding and The Big Bang Theory, it seems that Mark Hamill would be the ultimate person to officiate the marriage between Sheldon and Amy. The idea of Luke Skywalker conducting the wedding is just too good to pass up. But, nothing has been officially announced by anyone at this time, so we'll just have to wait and see how Mark Hamill fits into the wedding episode. Maybe he just has some Jedi advice for Sheldon. Another possibility for Mark Hamill could be that he's somehow related to Amy and she just never told Sheldon about it. That idea is just as plausible as him officiating the ceremony and with The Big Bang Theory, you never know. There's also the possibility that the Star Wars actor could show up in a dream to help Sheldon though some pre-ceremony nerves. Mark Hamill is one of the perfect guests for the hit show, so it will be interesting to see how they end up using him for the season finale of the 11th season. Most of Sheldon's family has been seen on The Big Bang Theory and the spin-off series, Young Sheldon. Laurie Metcalf will return as Sheldon's mother, while Jerry O'Connell has been tapped to play Sheldon's older brother for the season finale. Other actors who are confirmed to return for the occasion are John Ross Bowie (Barry Kripke), Brian Posehn (Bert), Wil Wheaton, who plays himself (which means we're also getting a mini-Stand By Me reunion, and Courtney Henggeler, who will be back to portray Sheldon's twin sister, Missy Cooper. So, it seems logical that Kathy Bates and Lauren Lapkus will be playing parts of Amy's mysterious family. The Big Bang Theory season finale will air on Thursday, May 10th at 8PM, so we won't have to wait that long to see the long-awaited wedding between Sheldon and Amy. As for the 12th Season of Big Bang, star Johnny Galecki has insinuated that it will be the final season for the hit show, noting that 12 would be a good number to go out on. The actor also mentioned that he and the rest of the cast have had the discussion, so it seems likely that the 12th Season will be the last. For now, there's still the rest of the 11th Season to look forward to, with the addition of Mark Hamill, Kathy Bates, Lauren Lapkus, and magician Teller to look forward to in the season finale. This report originated from Entertainment Weekly.